Increase the amount of customer opinions, their satisfaction, and your recommendation index. The best opinion leader for your business is a customer publishing a comment. Increase your customers’ opinions on comparison sites, search engines, social media, and OTAs and turn them into your best opinion leaders. 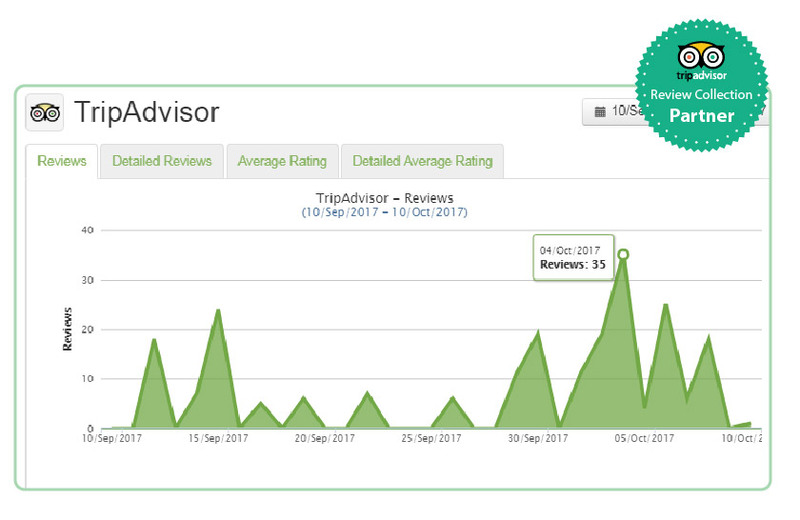 Use our share opinion widgets on TripAdvisor, Holiday Check, Trivago, Google reviews, Facebook, etc. Get your customer's opinion and get it fast by automating your invitation to publish it on comparison sites and search engines. Make your presence in the social media and channels you're interested in profitable by programming social widgets. Optimize the time spent monitoring your online reputation with aggregated opinion reports. Receive real time alerts of mentions of your hotel on major OTAs, comparison sites, and social media. You can access the user’s response through the alert and test how good your service is. Take advantage of key analysis and metrics to prioritize operational and service improvements to offer your guests the best experiences and go beyond their expectations. Get a close-up your competition's performance and evaluate it to identify your strengths and where there’s room for improvement.